The Short Version: X10 is considerably less expensive and more compatible with various wiring schemes, Insteon is very reliable and relatively secure but requires a neutral wire for in-wall modules, Z-Wave is more compatible with various wiring schemes and far more reliable than X10. X10 modules are usually around $5 each. Insteon and Z-Wave typically run from $35-$50 each but they both rebroadcast signals and verify device status. X10 is good for beginners but anyone considering a whole-house automation scheme should probably invest in Insteon or Z-Wave instead. I’ve learned quite a bit about some of the more popular home automation devices and protocols. When I first became interested in home automation I started dumping cash into X10 modules. X10 is typically much less expensive and compatible with most wiring. Over time, and after much experience troubleshooting my own X10 woes, I eventually started switching over to Insteon modules. Recently, I installed my first Z-Wave dimmer switch. X10 was very inexpensive (read “cheap”). Unfortunately it’s not reliable. X10 equipment doesn’t (usually) support any kind of device status or confirmation. In short, if you turn a light on from a remote, and for some reason it doesn’t turn on, the remote can’t check to verify whether or not the command was received. Granted, our wiring is a mix of new and old (including knob and tube) so it’s not exactly an ideal environment for X10 but even with a signal phase bridge (on the clothes dryer) I still experienced frequent signal loss or interference. I started using Insteon but so far I’m limited to only using plug-in modules since most of wiring doesn’t have the required neutral wire (at least not at the switches). It does work great with these modules. I’ve almost never pushed a button and not had a device respond. Recently, I installed my first Z-Wave device on our back porch light. The light was controlled with an X10 wall-switch but it frequently did not receive commands from the computer. Since I’ve installed the Z-Wave dimmer it seems to turn on and off every time it should. This is very impressive considering the distance between the dimmer switch and the controller – at the moment there aren’t any other Z-Wave devices in the house to repeat the signal. Eventually I will eliminate all X10 devices. I’ll probably keep my Insteon devices, at least until I’ve determined how reliable Z-Wave really is in our home. In the end I’ll probably have a mix of Insteon and Z-Wave, though it’s possible that one day I’ll only be using Z-Wave. Updated 07/18/2013: I’ve completely eliminate all X10 devices from my house by replacing them with Z-Wave devices. Eventually, I’ll also replace the handful of Insteon devices with Z-Wave modules. Occasionally, in the process of setting up a new piece of equipment, I’ll tinker with configuration options if I can’t get something to work right. Later on I may forget the extra steps I made, which can be a problem when I write in a post that I have a piece of software working with a certain piece of hardware but completely forget that it didn’t work out-of-the-box. This post has some information about setting up Vitamin D Video to work with a Foscam FI8918W. Currently, Vitamin D Video does not officially support this Foscam model. That may change – I submitted some information to Vitamin D Video this evening which might help them add official support. In September of last year I decided to remove an X10 camera that underperformed beyond my expectations (the same can be said of the software that came with it). I replaced it with a Foscam IP Camera (FI8918W), which is a much better device. 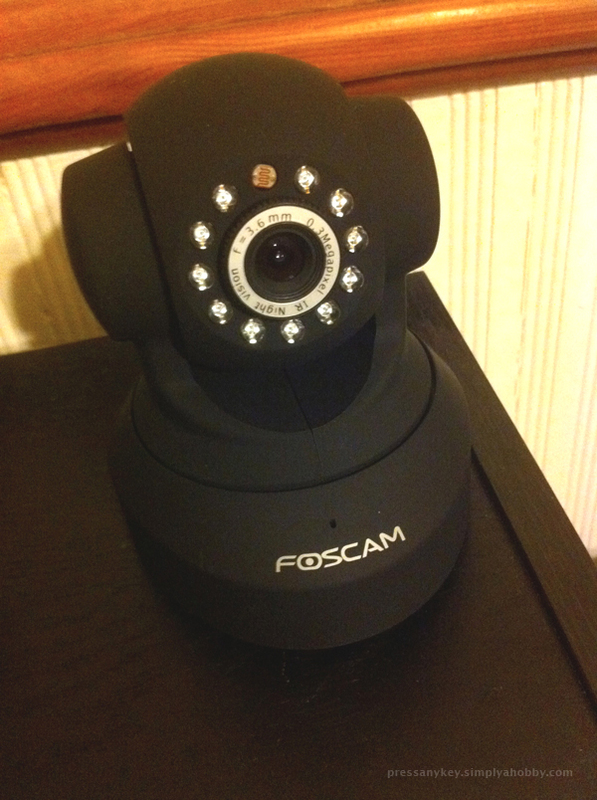 The Foscam is a good, all-around IP camera for general use and may work well as a security camera in certain situations. At about $90 it’s a good price for a reliable IP camera. Last December I purchased a copy of Vitamin D Video for OS X. However, I’ve been moving various services over from my iMac to the new ASUS EeeBox. At first, I assumed this would require that I purchase another license for the Windows version of Vitamin D Video. I figured it was worth a shot to see if the licensing would transfer over to the Windows version and to my surprise, it did. The Windows version accepted the OS X license file for Vitamin D Video. Many companies would go out of their way to force users to purchase a new license for the same software under a different platform. I’m impressed (and pleased that I saved an additional $50). Updated 08/31/2011: In a response from Vitamin D Video, regarding a related matter, I was informed that the ability to use the license across platforms was intentional.